Cruise 7 “Ports of Call” to collect a poker hand. Grand Prizes for the top three hands will be awarded at the Boat Poker Run Wrap Up after the event. Join us for a dinner and music during the Wrap Up at the Jordan Campground Lakeside Pavilion. So grab the family, or some friends, load up the kids, the dog, and the cooler on the boat, and head out for a fun day on Lake Norfork. And hey, don’t forget the sun block! 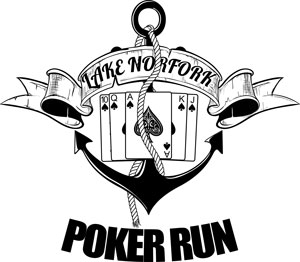 Check-in on Poker Run Saturday at the Jordan Pavilion between 9:30-10:30 AM. Preregistered participants are invited to depart from any “Port of Call”. Poker Run volunteers will be on hand to pass out preregistered participant packets. Deadline to preregister is July 20, 2018. This event is sponsored by Norfork Lake Tourism.